Dr. Panday received her medical degree from Jefferson Medical College in Philadelphia and completed her residency in Ophthalmology at Wills Eye Hospital. She then completed a fellowship in the subspecialty of Cornea, External Disease, and Refractive Surgery at the Wilmer Eye Institute of Johns Hopkins Hospital. After fellowship, Dr. Panday moved from the Northeast to San Antonio to serve in the United States Air Force and completed eight years of active duty service at Wilford Hall Medical Center on Lackland Air Force Base. During that time, she functioned in various positions, including Chief of the Cornea and Refractive Surgeon Service, Director of the Joint Warfighter Refractive Surgery Center, and Refractive Surgery Consultant to the Air Force Surgeon General. She was also the Associate Program Director of the largest Ophthalmology residency program in the Department of Defense. She rose to the rank of Lieutenant Colonel in the U.S. Air Force prior to departing and joining private practice. 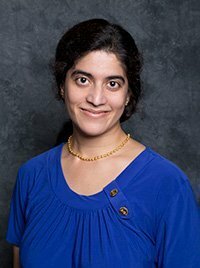 Among her many accomplishments, Dr. Panday has taught numerous ophthalmology residents, published many journal articles in her field, spoken at national and international conferences, and serves on the American Board of Ophthalmology to certify other ophthalmologists. Dr. Panday has been married for 15 years to her husband Manoj, who is a Cardiac Electrophysiologist at UTHSCSA. They love staying active with their two young sons Ajay and Ashwin, playing soccer, basketball, swimming, and reading. I appreciate very much the medical professionalism shown by all of the medical staff. ~ Julio L.